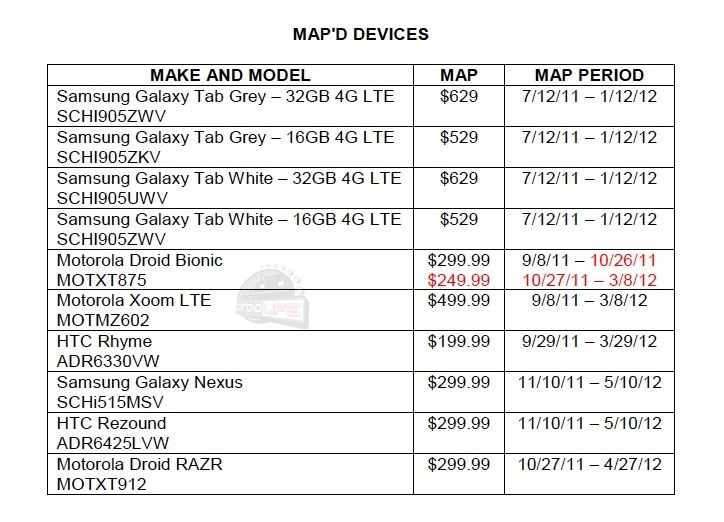 If for some reason you had planned to pick up a DROID Bionic instead of the Galaxy Nexus, DROID RAZR or HTC Rezound, then you will be pleased to learn that the price of it will drop by $50 tomorrow to $249 on contract (according to Verizon’s newest MAP list). Makes sense though, right? With the RAZR going on pre-order tomorrow morning for $299, Big Red would be silly to leave its older and thicker brother at the same price point. Galaxy Nexus Image Points Towards November 10 Release?